I have shown you most of Momento’s setup while it was transformed into a public kitchen. What I missed out was the brave fleet, driven by some of the bravest hearts in the region. Imagine waking up very very early in the morning to deliver thousands of meal packs to the needy, 1-2 hours away from Yogyakarta. Imagine going back to the same tracks again in the afternoon, and again for dinner. Multiply the imagination by 30 days (or so). Day in, day out. The fleet consisted of various cars, from the relatively new model of KIA Travello to pre-historic Volkswagen and modified Katana. The pilots consisted of guys with various level of craziness, and amazingly most of them were from the same age cohort. Here’s one typical routine that I followed. My pilot was den mas Totok, a nice guy to accompany. We had all sorts of talk, and a fair bits of laughter (in between the dusty roads). In a borrowed Volkswagen Combi that has no aircon (hey, at least the seatbelt was still working). 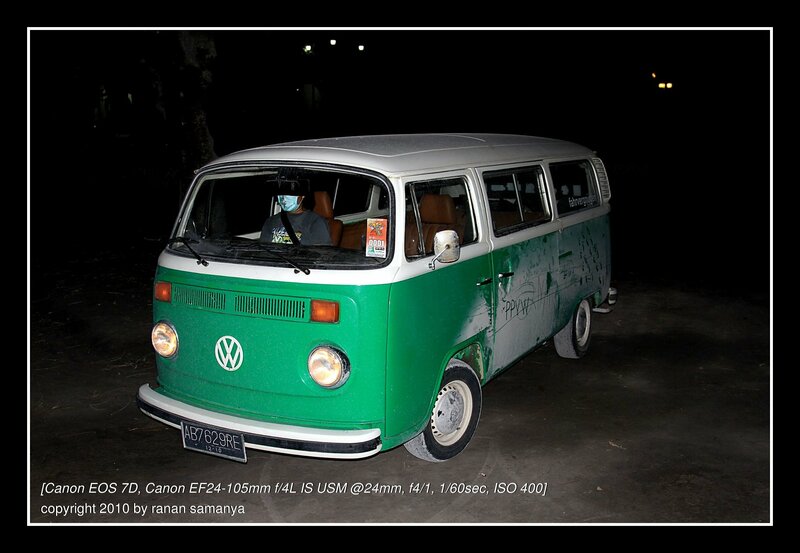 Yes, this was the Volkswagen which had its production stopped in 1979. Built almost as tough as a tank, at one time we loaded it with 10 sacks of rice @ 25kg. That is 250kg of loads, excluding a few smaller sacks of garlic (ugh! ), potatoes, and a few cartoons of macaroni. 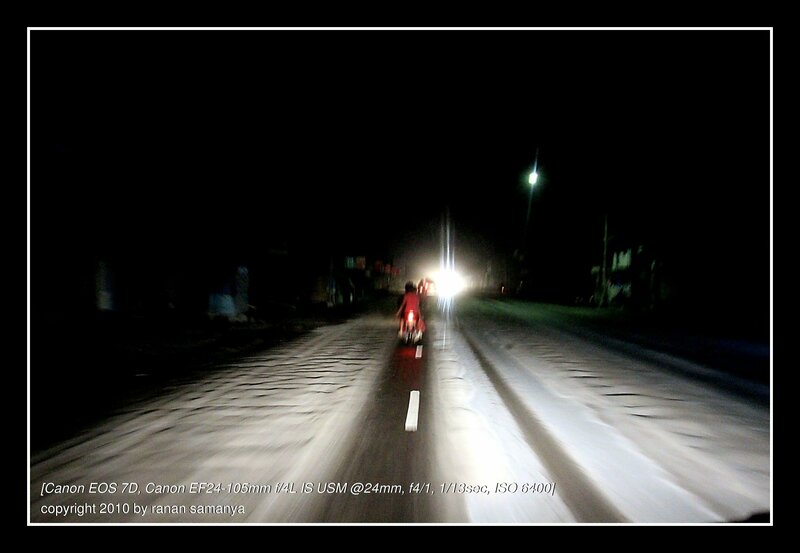 The road in Muntilan was full of ash. This one was taken after rain, which was good. On any other time it was damn dusty like hell. 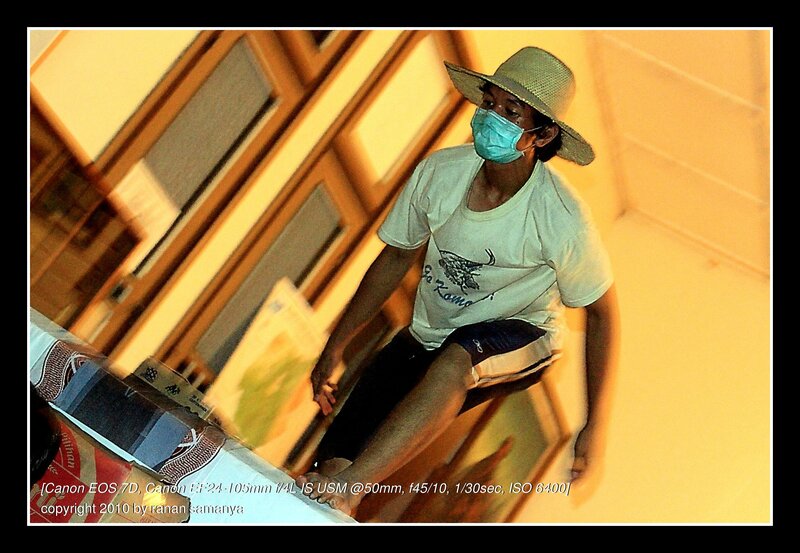 05. mask on, sweat on! 11. Status update (facebook, Twitter, BBM, you name it, we have it). OK, maybe I am wrong: we usually updated our status first, while sipping tea or inhaling cigarette, then food. Not the other way around. There was a night, around 21:45 when we received a distress call from an unknown refugee camp. They required 2,500 meal packs for the evening. We were left with only 120 that time, as most were already or were being delivered. Totok and I loaded the packs to the green VW, and headed back to Muntilan area (we just arrived from there 1 hour earlier). After much hazzle and several phone calls we reached the place. The call happened to be a hoax. Nevertheless we dropped the loads to the camp (which appeared to be only a distribution camp, not a refugee camp). Grumbled for 15 minutes during our way back, and then turned that grumbling into some funny stories. Think positive: now we have one story to tell everybody in HQ! Delivering to a remote area in Salam village (aound 15km from Merapi), where families were hiding in their not that strong houses during the big eruptions. 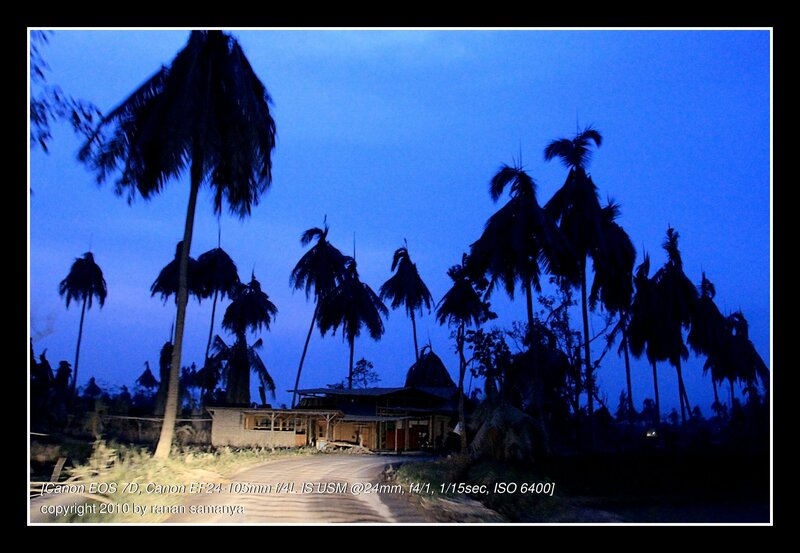 Those umbrella-shaped trees were coconut trees with damaged leaves due to the ash weight. 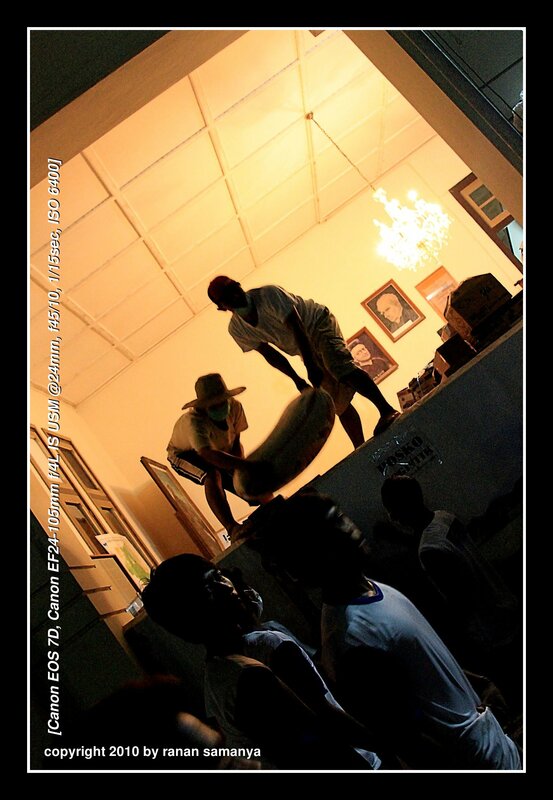 Emptying our cargo of 1000 packs in Van Lith school in Muntilan. 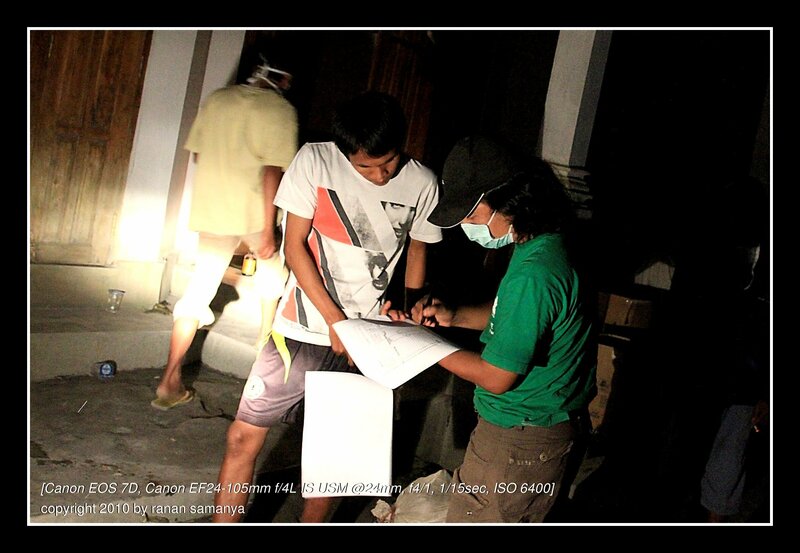 Signing off documents for accountability and recording purposes in Salam village, where no electricity was available. Noticed the color-matching t-shirt of Totok with his borrowed Volkswagen? He is, afterall, a VW maniac. 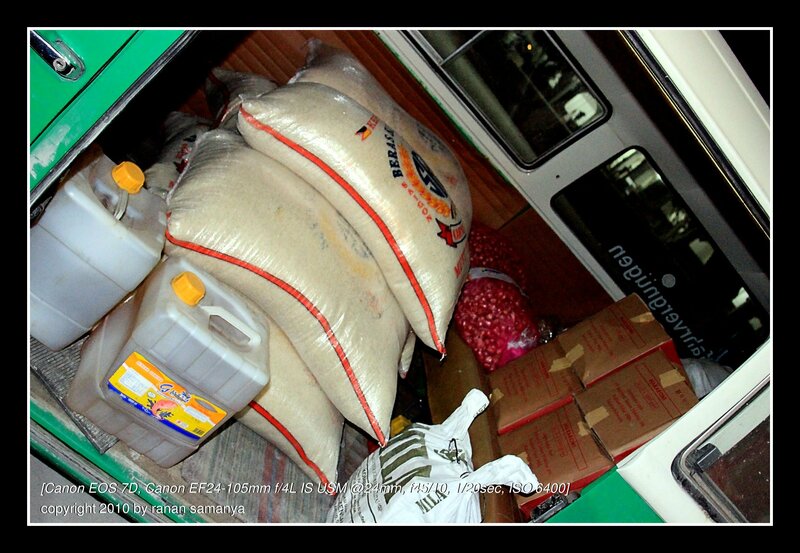 Oh yes: 250kg of rice, potatoes, macaroni, cooking oild and soy sauce. Volunteer in Van Lith school getting ready to help loading raw materials to our just emptied Volkswagen Combi.